The Bodley will be getting underway earlier than usual this season – by the 21st of October at the latest, and possibly as early as the 14th. Only two players retain 100% records after round 3 as the Frank Scott Shield enters the business end. The Armstrong started off the new season the same way they began the previous three – with victory over Dublin. 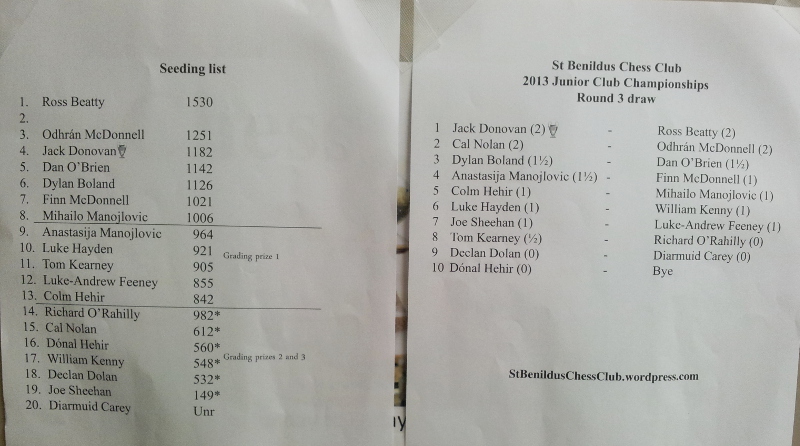 The draw for the fourth round of the Junior Club Championships has been made. The September ratings list has been published. The club AGM will be held on Wednesday 30 October coming from 8pm. Two of the favourites for the Frank Scott Shield are still in the running for the trophy this year…but only just!